A man and woman have been returned for trial to Craigavon Crown Court charged with stealing three antique clocks worth £10,000. John Maughan (31) and Emma Margaret Creaney (31), both of Birchdale Manor, Lurgan, appeared at a preliminary enquiry last Thursday at the local courthouse. Both are charged with entering as a trespasser on September 28, 2014, business premises at High Street in Lurgan and stealing three antique clocks valued at £10,000. Creaney is further charged with handling stolen goods on the same date. Maughan is also accused of resisting a police officer and assaulting a police officer on the same date. 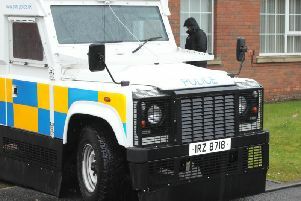 Both were returned for trial on £500 bail to appear for arraignment at Craigavon Crown Court on October 11.